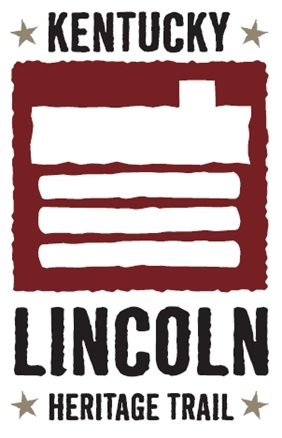 The farm was located on the busiest road in the region, the Louisville-Nashville Turnpike, and there is no doubt that Lincoln saw and learned from the wide variety of men and women traveling the road – soldiers marching past during the War of 1812, stagecoach traffic, peddlers, and slaves being taken to distant markets. 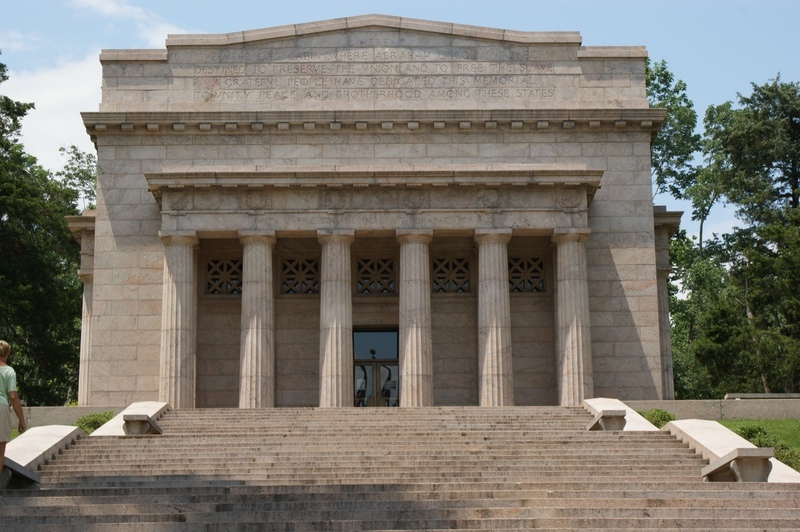 Due to disputing claims to the land at Knob Creek, Thomas Lincoln moved his family in 1816 to Indiana, which had a federally-managed land grant program. 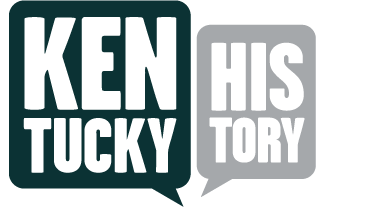 Lincoln Boyhood Farm: When visiting the Lincoln boyhood farm at Knob Creek one gets the impression that little has changed in the almost 200 years since the Lincolns lived here. Photograph courtesy of Tim Talbott. 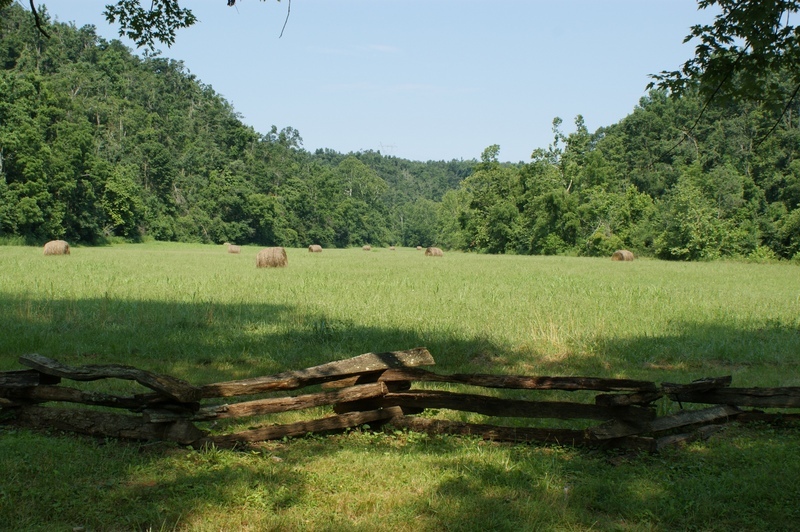 Lincoln Birthplace: The Lincoln's Knob Creek Farm unit is part of the National Park Service's Lincoln Birthplace National Historic Park near Hodgenville, Kentucky. Photograph courtesy of Tim Talbott. 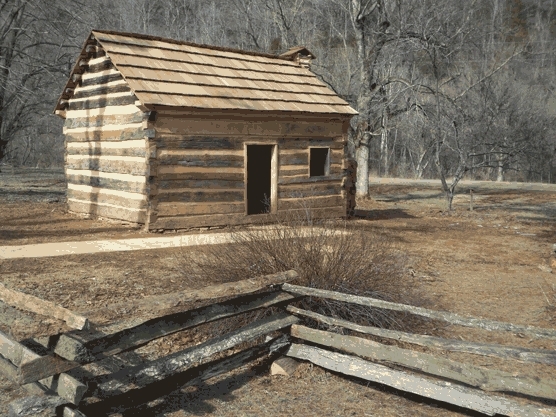 Warren Greer, “Lincoln's Home at Knob Creek,” ExploreKYHistory, accessed April 22, 2019, https://explorekyhistory.ky.gov/items/show/125.